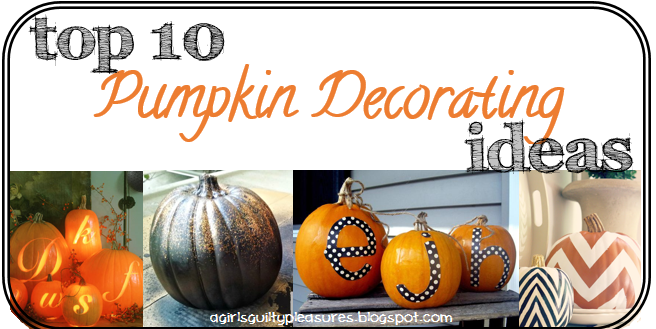 A Girl's Guilty Pleasures: 10 Ways to Spice Up Your Halloween Pumpkins! 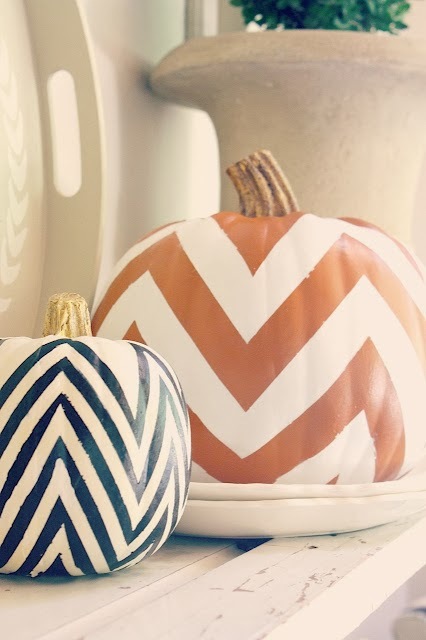 What is better than a beautiful fall pumpkin? Well, .....a beautifully decorated fall pumpkin! Spice up your home this Halloween season with some awesome pumpkin decorating ideas! 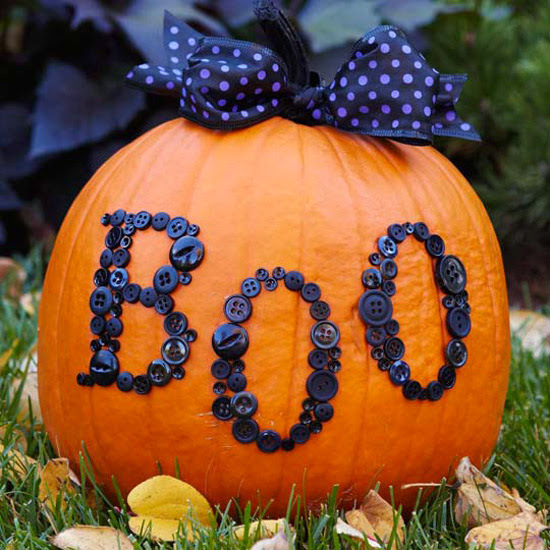 With just some ribbon, glue, and buttons, you can create your own design without the mess of carving or painting! Awesome and so cute. This one is pretty self explanatory...if you have kids, this is definitely the way to go. Too funny! Adding glitter to anything automatically makes it prettier. 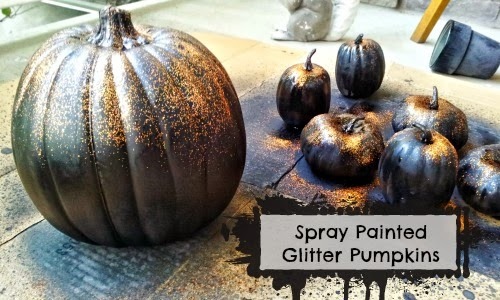 I love love love the way the black contrasts with the gold glitter...such a pretty touch. 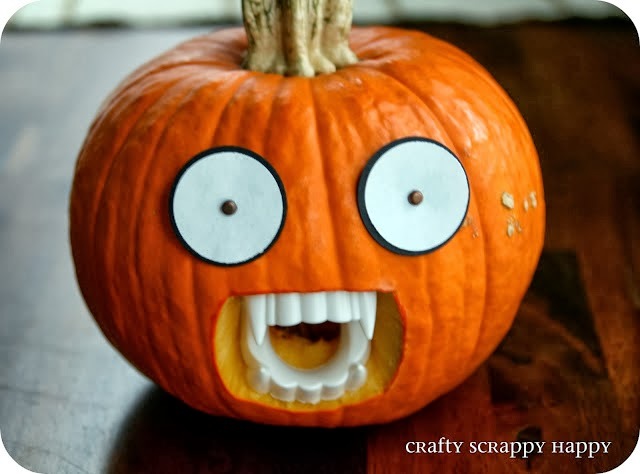 And perfect for Halloween! 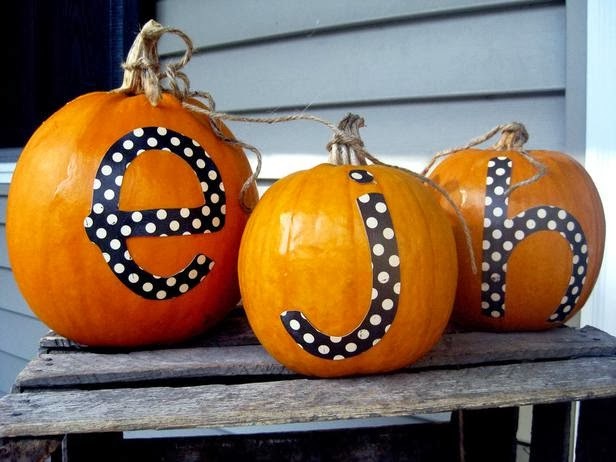 Personalize your pumpkin with this simple craft! So cute! 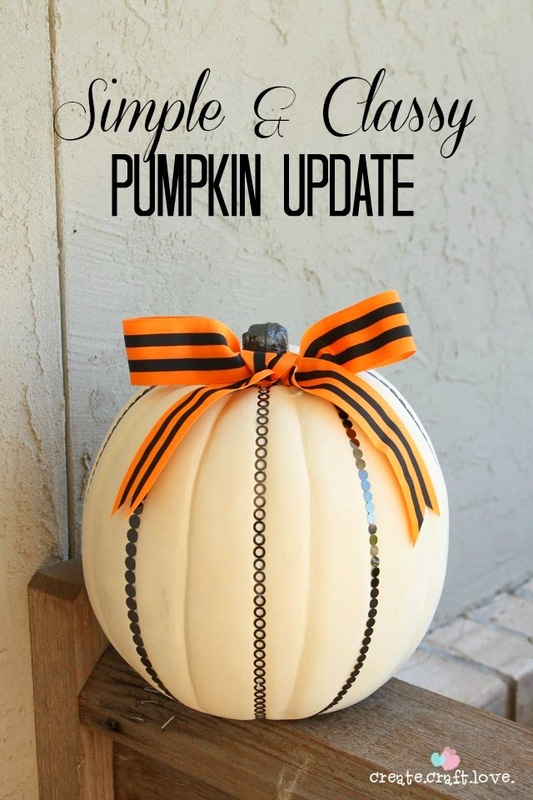 All it takes is a little paint, ribbon, and metallic trim to make a classy and beautiful pumpkin decoration! 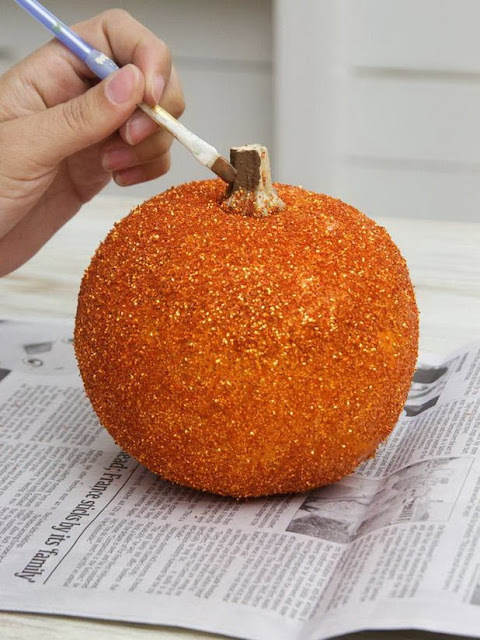 Transform your pumpkins into creepy crawly Halloween decor with this little trick! What an amazing idea! 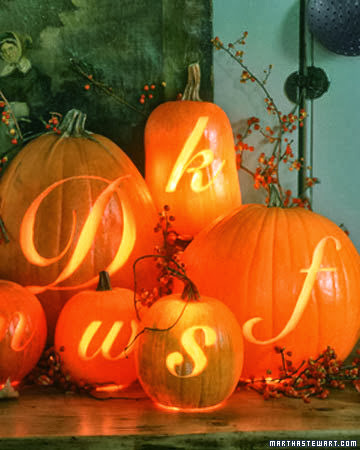 By just carving away part of the outer skin (not carving all the way through), the light inside of the pumpkin glows through in such a warm and beautiful way! 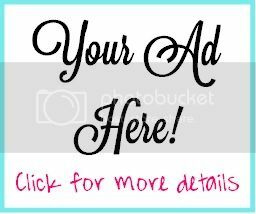 You can try this with multiple designs. 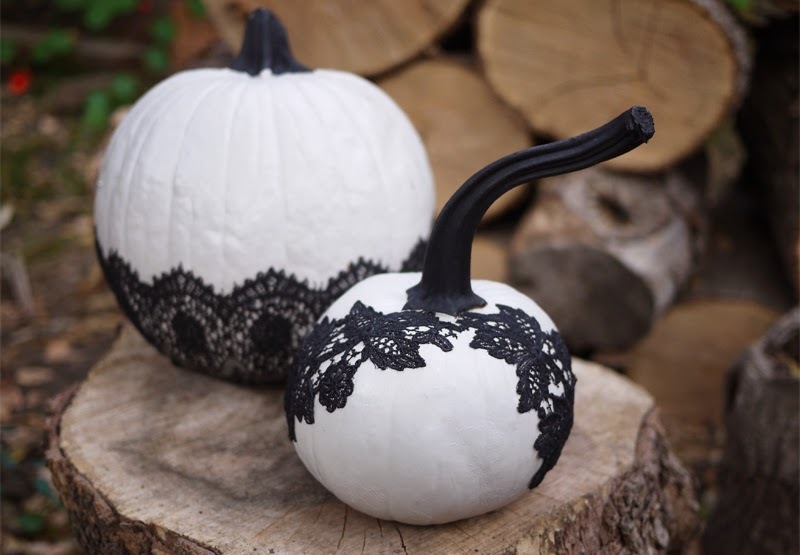 With a little paint and some lace appliques, you can create your own black and white lace pumpkins!